Why use a rubric though? What purpose does it serve? You may have asked yourself that same question. Ultimately, a rubric is a powerful tool for assessment. They help students become more thoughtful judges of the quality of their own work and others work as well. Rubrics also dramatically reduce the amount of time teachers spend on evaluating student work. Finally, they are easy to use and explain. Task Description – Involves a “performance” of some sort by the student. 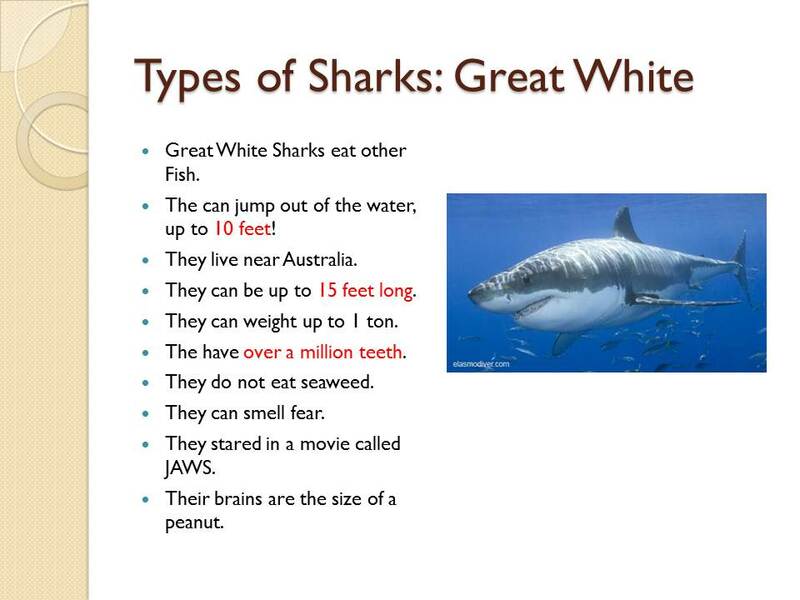 The task can take the form of either a specific assignment or overall behavior. Scale – Describes how well or poorly any given task has been performed. Dimensions – This is where you lay out the parts of the task simply and completely. They should actually represent the type of component skills students must combine in a successful scholarly work. Description of the Dimensions – A rubric should contain at the very least a description or the highest level of performance in that dimension. However, you should strive to also create descriptions for all levels of performance. Identify the characteristics of what you are assessing. Describe the best and worst work you could expect using these characteristics (this describes the top category). Develop descriptions of intermediate-level products and assign them to those categories. 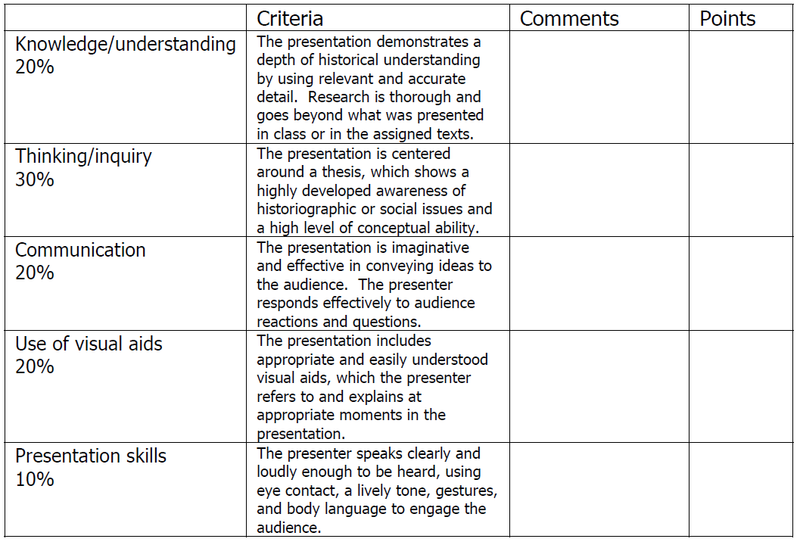 This is an example of a complete rubric. Take note of the different criteria. Your rubric could easily look different. It could have more dimensions, it might have a different scale, or you might now allow for comments at all. Your rubric should be tailored towards the information you are grading. Whatever your rubric looks like though, make sure it is well structured and easy to follow. Remember, chances are students will study these rubrics closely, so make sure you have a well-crafted one! Certifyme.net announced important eLearning Statistics for 2013.
eLearning is a $56.2 Billion business and is likely to double in size before 2015. The U.S. and Europe utilize 70% of the world’s eLearning, but Asia Pacific is gaining ground. The fastest growing eLearning markets are Vietnam and Malaysia. 77% of American Corporations use online learning. 72% of companies surveyed report that eLearning keeps them on top of their industry changes. In 2011, 51% of companies did at least one training session with eLearning to more than 50% of their employees. Corporations save 50-70% when they replace instructor-based training with eLearning. eLearning classes are generally 25-60% shorter in duration than traditional classes. 23% of employees leave their jobs because the position lacks opportunity for development and training. Online education is proven to increase knowledge retention by 25-60%. 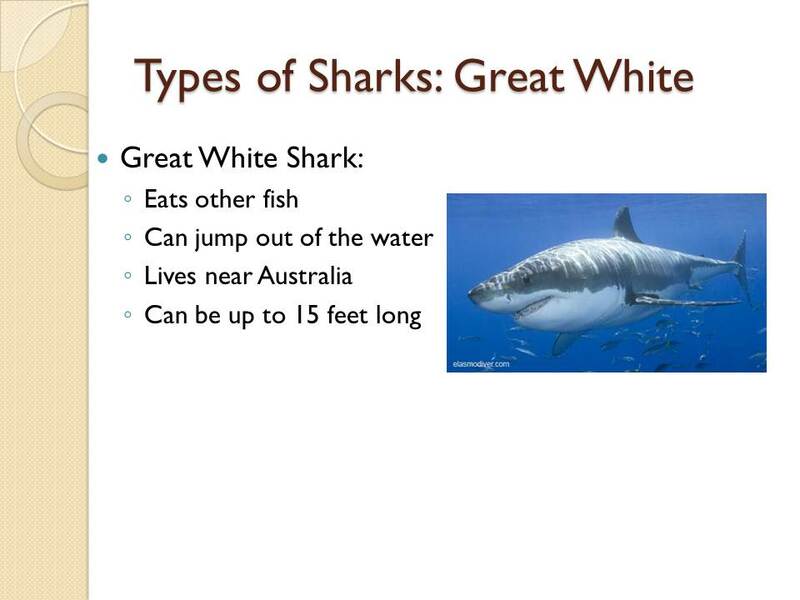 This slide describes features of a Great White shark, but it has a lot of information. There is some great information here, but right away it feels like too much. Usually slides don’t have more than a couple of points on them. However, this slide has ten. The idea behind finding the 20% is to review a slide and pick out the information that is the most important/necessary. It isn’t designed to eliminate essential information, but sift through all of it to make sure if you really need the information in that place at that time. Look again at that slide. Is there anything you could take out of it but still get the important information across? While less information, it’s much clearer. As you can see the slide layout is still the same, but the information is clear and concise. Nothing in this slide seems extraneous. By using this idea I was able to sift through the material and come up with something else. Try using this idea when creating your presentation materials! You may find it make the process of creating learning materials quicker and easier. Last weekend Canvas rolled out some updates to their system. Many cosmetic and functional changes were made, but there were two in particular that I wanted to detail. 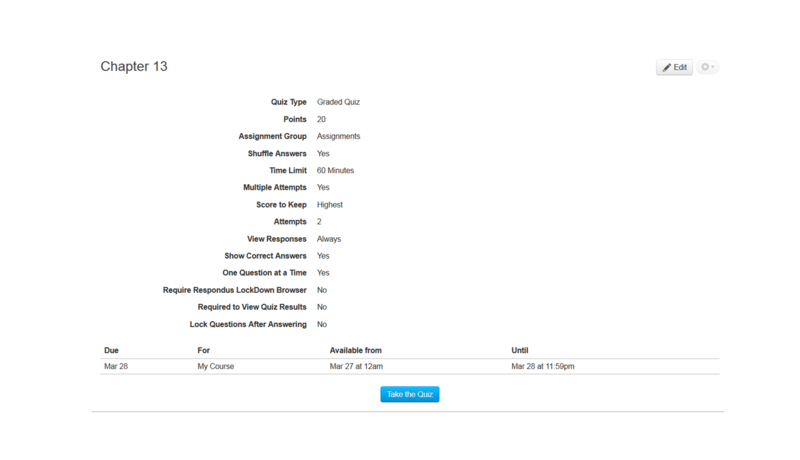 First, the Quizzes, Discussions, and Assignment interfaces have changed slightly. Students and instructors will see newly designed interface updates for Assignments and Quizzes. For example, below is a comparison of a Quiz in a Module, the first is from the Teacher view, and the second is from the Student view. This is the view of a quiz in a Module as a Student. At first, I was a little worried that students would be able to see all the options that you set for this quiz. However, after going through it myself, the students will only see the necessary information. Students are unable to see important quiz/test information. Similar changes have been made to Discussions and Assignments. The black arrow shows you where to click to add an item. 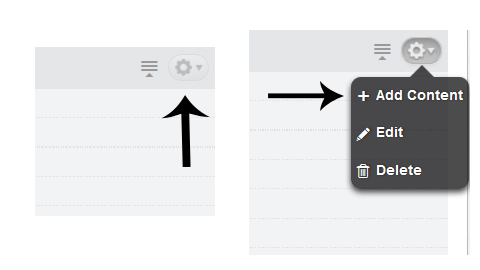 Once you click on “Add Content” the same window as before will pop up. No changes have been made to adding the files themselves to the Module. These two are only part of the list of updates in this past cycle. For a full list of changes and updates, please visit the Canvas Release Notes page. Remember, Canvas is on a three week cycle. Their next set of updates/changes/fixes will happen on 3/30/13. The UK has a tradition of providing government support to higher education and digital initiatives. In 1966, the Labour Party’s general election manifesto contained a commitment to establish what they were calling the University of the Air. Prime Minister Harold Wilson won re-election with an increased majority and in September 1967 his Cabinet set up a Planning Committee ‘to work out a comprehensive plan for an open university’. Through its example in joining FutureLearn, the British Library is solidifying the role of libraries in supporting the development and success of online education around the world – an example that the Poynter Library, in its own modest way, is following. An article in the March 4 Chronicle of Higher Education suggests that, contrary to the belief of many state legislatures and other politicians, online education is unlikely to reduce the cost of higher education. That was the conclusion reached by some attending a private summit in Cambridge, Massachusetts sponsored by the Massachusetts Institute of Technology and Harvard University held March 4. Attendees discussed the future of residential higher education in a digital age.and many attendees made it clear then that they intended to use their MOOCs (Massive Open Online Courses) to improve, not supplant, traditional courses. Looking for ways to develop or improve your assessments? This USF System document, prepared by Teresa Flateby, Ph.D., breaks down the fundamentals of achievement testing. In this document, she also provides strategies for creating different types of test items, evaluating existing test items, and creating aligned assessments that measure the student based on the cognitive domains set forth through your learning objectives.